JASON ROBINSON – ‘Billy Whiz’ scored 137 tries in 8 years for Wigan Warriors RLFC before making the switch to union. He settled quickly into the new code for both Sale Sharks, England and the British Lions. Winning the World Cup and the Premiership in a ten year spell. CHRIS ASHTON – Another convert from Wigan Warriors. He scored 30 tries in 52 games before switching codes and moving to Northampton. He found his feet straight away and has scored 78 tries in 81 games for the Saints as well as making a big splash on the international scene. He currently has 9 tries in 9 games for England and is revolutionising wing play in Union. SONNY BILL WILLIAMS – In 2010 the New Zealand centre became only the second player to play for both the New Zealand Kiwis and the All Blacks. Sonny Bill turned down the largest ever contract offer ($6 million) for a rugby union player in order to play for New Zealand. He is also an undefeated heavyweight boxer. JONATHAN DAVIES – A Welsh fly half who picked up 27 caps for the Welsh Rugby Union side and 19 for the Welsh and Great British RUgby league sides. Even winning the RFL’s Man of Steel Award, for the 93-94 player of the season. SCOTT GIBBS – Another Welsh convert, who played in the centre for Wales and the British Lions in union, as well as Wales and Great Britain in league. he’s best remembered for winning the ‘player of the series’ in the memorable 1997 Lions tour of South Africa. GARETH THOMAS – A Welsh phenomena. He picked up 100 caps for the Welsh Rugby Union team before converting to league in 2010. Despite being 36 he is still making an impact in league and has picked up 4 caps, scoring 3 tries for the Welsh Rugby League team. DALLY MESSENGER – The first and arguably the greatest cross code player of all time. 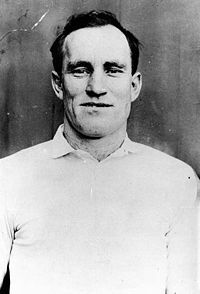 Messenger was the first ever player to play both rugby league and rugby union at an international level, and is still considered as one of the greatest players in both codes. On top of his success in both forms of rugby while touring England with the ‘Kangaroos’ in 1908 he was offered football contracts by Manchester United and Tottenham Hotspurs. Only to turn them down, dismissing football as decadent. The game will see the sides play each other in a one off match. With the first half played by rugby league rules and the second by rugby union’s law book. The two sides have faired very differently this season with the Union team being relegated from Premier B following four wins and ten losses. Whereas the League team finished comfortably in mid-table and made it to the final of the Men’s Trophy, were they lost 36-30 to Leeds met 2’s. Despite this the game should be a tightly contested affair. With several rivalries to settle and the serious matter of bragging rights to compete for. Ross White, 20, social secretary for Sheffield Hallam Rugby Union believes that the league team will not be able to handle the technical side of union. Sean Burke, 22, player for Sheffield Hallam Rugby League says that the league side will be too powerful for the union team. Since the two codes separated, due to a dispute over the payment of players, to form different games in 1895 there has been a constant argument over which form of the game is better. With both sports claiming that they are the superior side. This has been contested in several high profile games over the past. With the three biggest games spanning back to the turn of the last century. The first cross codes game took place in 1909 when the Australian Kangaroos took on the Australian Wallabies. With the Kangaroos winning 29-26 for rugby league. The second recorded cross codes game was between Leeds Rugby League and the Royal Navy Rugby Union, in 1917. With two games played, one in each code. 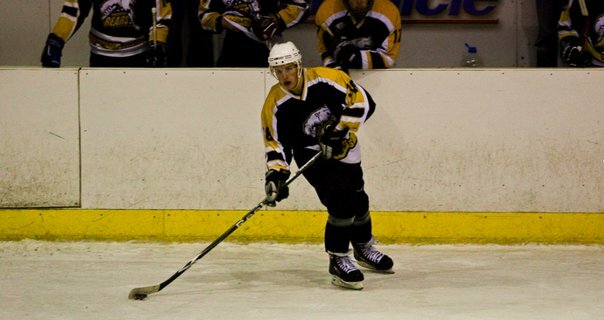 This time the Union side came out on top, with the Navy winning 9-3 in union and 24-3 in league. In 1995 rugby union turned professional and in 1996 Bath RUFC and Wigan RLFC made history by playing the first ever professional cross codes games. The first match took place at Maine Road, Manchester, under league rules and Wigan cruised to a 82 – 6 victory. Two weeks later a bigger shock was in store when Wigan once again beat Bath 44-19 under union rules at Twickenham. This game will allow rugby union to regain some credibility following it’s previous losses at the hand of rugby league opposition. The game will be played at Abbeydale Sports Centre on Wednesday 27th April, with all proceeds going to charity. The event, that runs over 8 days, came down to the final day. With Hallam clinching the title with 31 points to Sheffield University’s 30. 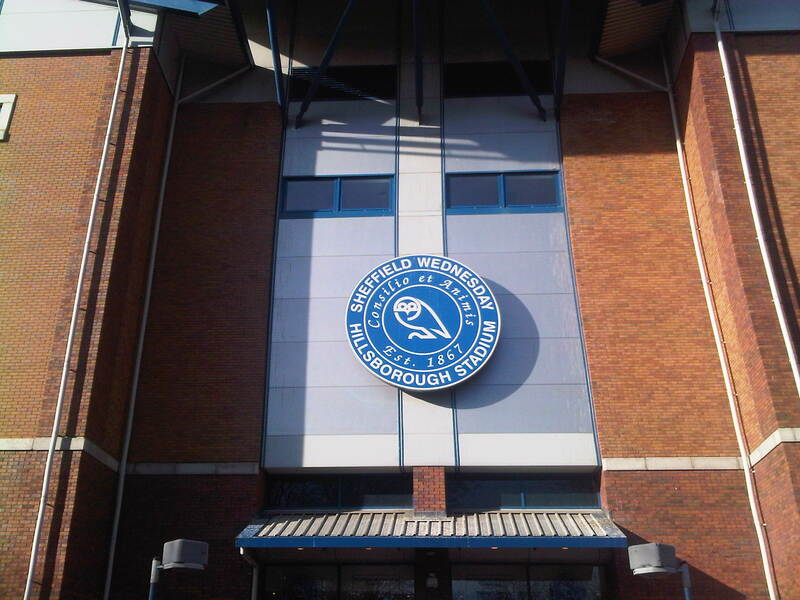 Unlike last year Hallam already had the result wrapped up before the main event kicked off at Sheffield Wednesday’s Hillsborough stadium. Making the men’s first eleven football game something of a non event. Despite this thousands of fans turned up to see the final game. Creating an intense atmosphere that wouldn’t have seemed out of place at a Sheffield derby. over their rivals. Causing disappointment for both sets of fans, and ending the event on a quiet note. 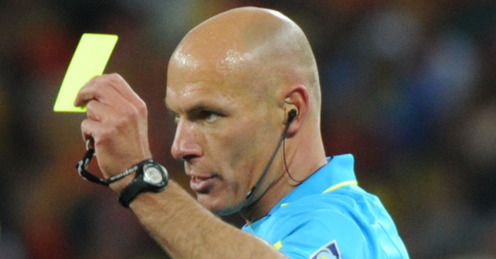 The match, which was being officiated by World Cup Final referee Howard Webb, started in quite an open fashion with both teams pushing forward in search of an equaliser. 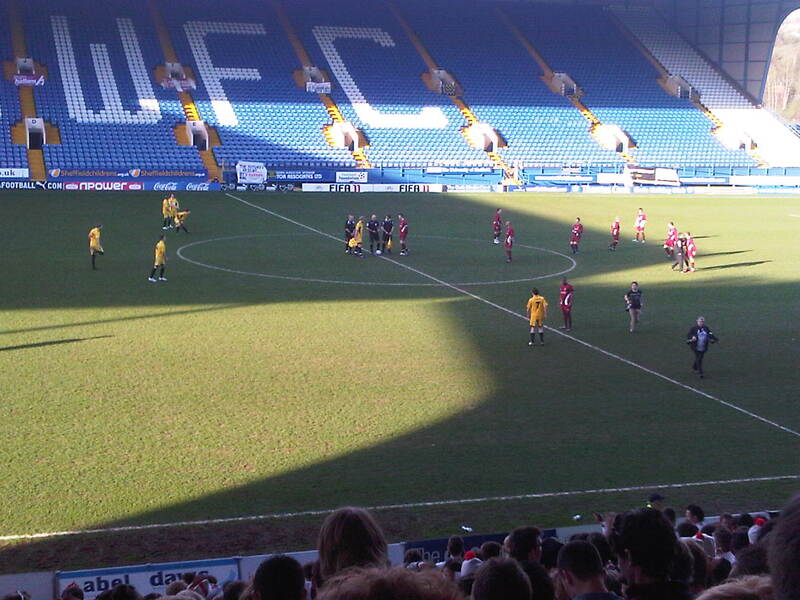 Sheffield University made the first break through after 20 minutes. Scoring from a neat ball into the box. Hallam continued to press forward and 10 minutes later scored the equaliser from a long shot that was fumbled by the opposition goalkeeper. This sparked wild celebrations from the players and fans alike. 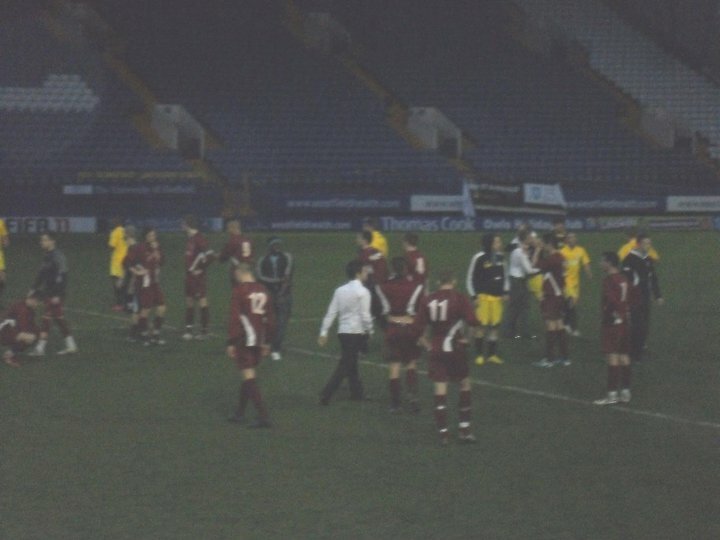 But they were short lived and following another keeper error Sheffield University were back on top. The next 45 minutes of play were passionate but less than entertaining and the game remained the same until Howard Webb blew the final whistle. Hallam’s first team captain, and centre back Darren Norman was understandably disappointed by the result. 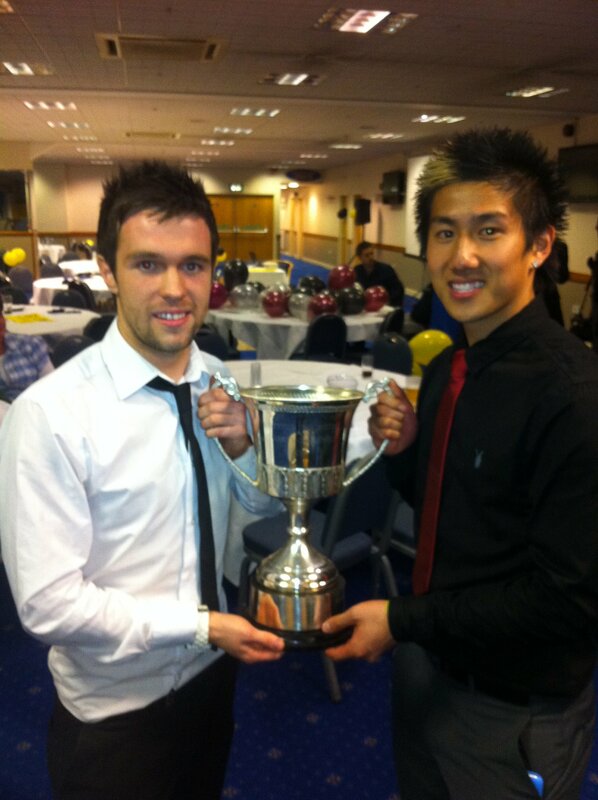 Sheffield Hallam Sports Officer Colan Leung was delighted with the overall result. “It’s amazing to win and the support for the last 8 days has been incredible. I want to thank everyone that competed and the fans for making it such a great Varsity. Jonathon Edwards – World record setting triple jumper who has a degree in physics from Durham. Mohammad Amir’s 5 year ban from competitivecricket at the age of just eighteen has forced him to look back on his decision to dismiss his education and chase the cricketing dream. Sport seems to have forgotten who the most important people in the game are. No it is not the multi-billionaire owners, the managers, the greedy agents or even the players themselves. It is infact the fans. without them there would be no clubs, no wages and no big money transfers or scandals. Yet increased wages and transfers for players has lead to a sharp increase in prices for fans and resulted many of them turning away from the clubs they run. This is not just true of football. Rugby Union is also seeing a large decrease in attendances, with the Aviva Premiership attracting 12% less fans this season than it was by Christmas last year. So if the clubs are going to price their fans out of their stadiums then where should they turn to find their weekly fix of passion and adrenaline? Why not University sport? After all it works in America. The NCAA college level football league attracts average attendance’s of over 45,000 and brought in more than 37 million fans in 2008. If we attracted even a hundredth of these numbers to a university game I can ensure that these players would not sell out for a higher pay cheque. They would simply enjoy the pleasure of finally getting to showcase their skills to a larger audience than the usual one passer by and his dog. And why not attend. Some of these players have just as much talent as many high level players. And the passion and rivalries are just as intense – if you don’t believe it go down to watch your local varsity match -. Its also free, surely if it is the sport that you are really interested in then this has to be the best possible invitation to attend. In fact many players from these games end up playing at the highest level anyway and you’d have to remortage your house just to watch them play. So why is no one turning up? I can’t understand how a sport mad student is more than happy to travel down to Bournemouth to watch Sheffield Wednesday but thinks the 10 minute trip to the university playing fields is too difficult. Understandably their are clashes with seminars and lectures, and the sport is incredibly under advertised but if you can make the effort to turn up I can guarantee you that you will witness some thrilling sport. And the players will actually appreciate you turning up. Colan Leung the sports Officer from Sheffield Hallam University believes the public and the students should get behind their local university.